Brother and sister designer duo Michael and Lauren Moshi are at it again! This time with their new line, Michael Lauren. Brother to their sister line, Lauren Moshi, these basics are luxe, lush, and we are in loooooove. 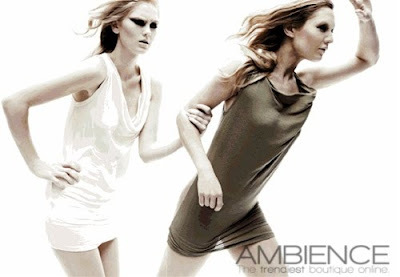 Ambience has it first! We want to have every one of these pieces in our wardrobe, and we know that once you touch and feel these fabrics, so will you. These basics drape beautifully, accentuating a woman's figure and complimenting each other beautifully. They layer like a dream, and can be worn alone just as well. They are effortlessly stylish, simplistically chic, buttery soft and absolute must-haves. We have an array of neutrals, as well as pops of color that will liven up these drab winter weather blues! Sounds pretty good, right? Well are you ready for this to get even better? The prices are so affordable they are a steal. "Luxe for less", this line is incredibly priced. The quality and versatility are second to none...we're prepared to live in Michael Lauren.